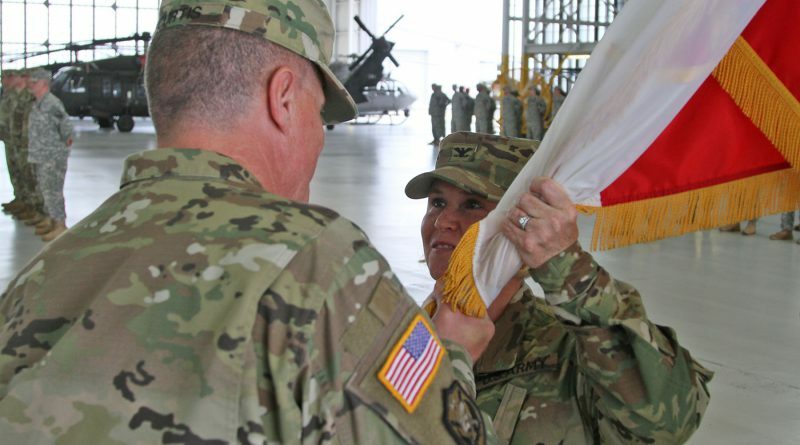 NEW ORLEANS – Col. Cindy Haygood, a native of Leesville, took command of the Louisiana Army National Guard’s 225th Engineer Brigade from Col. Rodney Painting of Amite during an official ceremony at Esler Air Field in Pineville, June 4. Haygood is the first female to command the 225th and the first female to lead a second direct reporting unit (DRU). 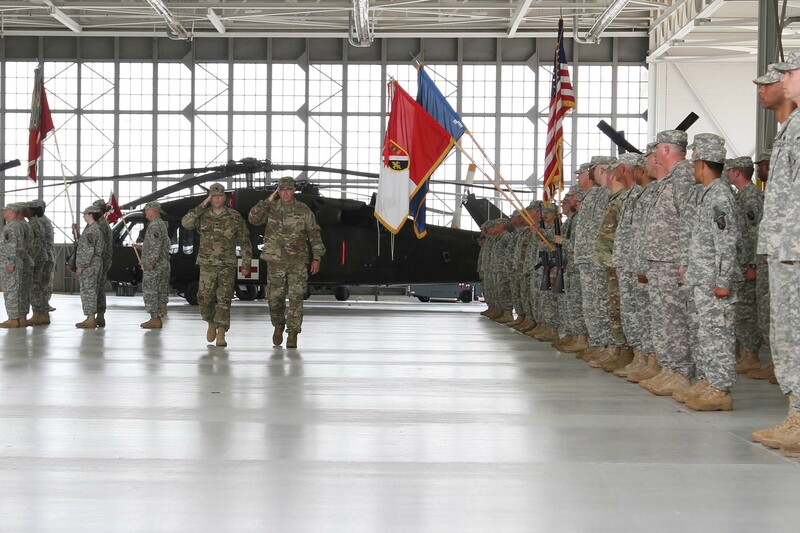 “Congratulations on your second DRU command,” Maj. Gen. Glenn H. Curtis, the adjutant general of the LANG, said to Haygood. In his remarks to the audience, Curtis drew attention to her achievements as an officer in the LANG. “She continues to plow new ground for us. In our history … she’s the first female to get a second DRU command,” said Curtis. Haygood graduated from Louisiana State University in 1991 and holds a Bachelors of Arts in Economics. Her military education includes Engineer Officer Basic and Advanced Courses, Combined Arms and Services Staff School, Intermediate Level Education Course and Operations Course. Some of Haygood’s awards and decorations include the Bronze Star, the Meritorious Service Medal with one Oak Leaf Cluster, the Army Commendation Medal, the Army Reserve Components Achievement Medal with four Oak Leaf Clusters, the National Defense Medal 1 Bronze Star, the Global War on Terrorism Service Medal, the Armed Forces Service Medal with one Oak Leaf Cluster, and the Overseas Service Ribbon. 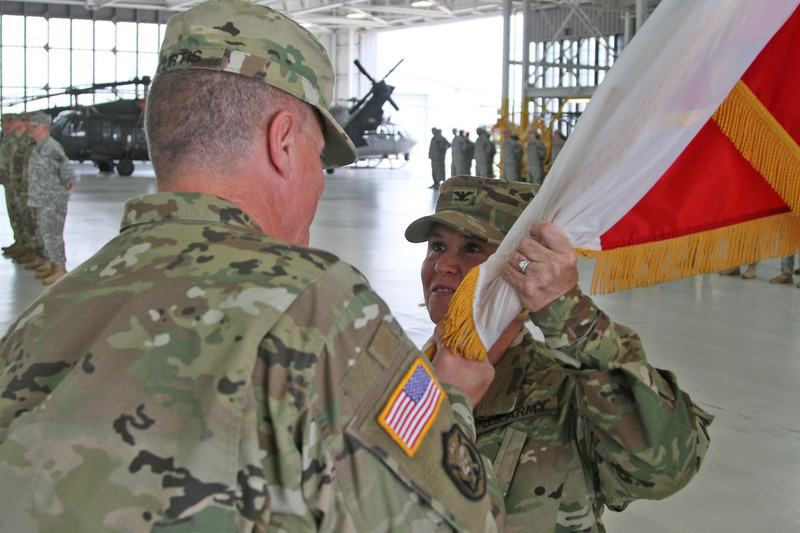 Before assuming command of the 225th, Haygood most notably served the Battalion Executive Officer of the 769th Engineer Battalion, the 769th Engineer Battalion Commander, and most recently as the 139th Regional Support Group Commander. Haygood mobilized and served as the Battalion Executive Officer during Operation Iraqi Freedom in Multinational Division-Baghdad and for Hurricanes Katrina and Rita. Haygood, lives with her husband Bill and their two daughters, Madeline and Lauren, in Gonzales. Both Painting and Haygood began their military careers in the 225th; Painting enlisted in the 205th in 1985 and Haygood enlisted in the 769th, also in 1985. Both went on to command the battalions they initially enlisted in, and then the entire brigade. 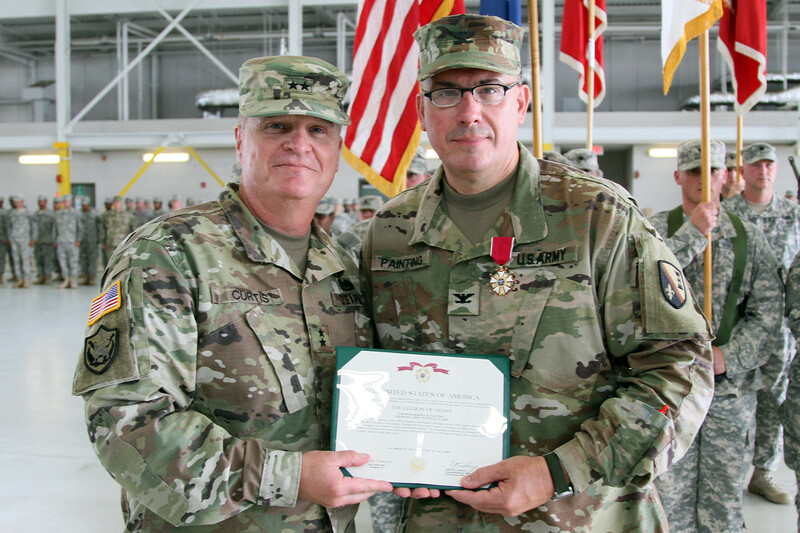 Curtis presented Painting the Legion of Merit for his exceptional leadership while serving as the commander of the 225th for nearly four years. Painting graduated from Louisiana State University in 1991 and holds a Bachelors of Science degree in Secondary Education. His military education includes Unit Supply Specialist Course, Officer Candidate School, Engineer Officer Basic and Advanced Courses, Combined Arms and Services Staff School and Command and General Staff Officer’s Course. Painting has served in various leadership roles during his tenure in the Guard. From his enlistment, he has served in practically every unit within the 205th and filled every position from platoon leader to battalion commander at some point during his career. While deployed to Kandahar (Aug. 2003-May 2004), Painting commanded a forward deployed detachment of the 205th who gave direct support to the First Brigade Combat Team of the 10th Mountain Division. He has also been mobilized for numerous other deployments, state emergencies and stateside and international engineering projects. Some of Painting’s awards and decorations include the Bronze Star, the Meritorious Service Medal, the Global War on Terrorism Expeditionary Medal, Global War on Terrorism Service Medal, the Army Commendation Medal, the Army Achievement Medal, the Army Reserve Components Achievement Medal with one Oak Leaf Cluster, and the Army Overseas Training Ribbon. Painting and his wife, Monica, have three daughters, Thea, Brendan, and Kobi. They reside in Amite, La. The 225th is headquartered at Camp Beauregard in Pineville and is comprised of three engineer battalions: the 527th Engineer Battalion, headquartered in Ruston, the 205th Engineer Battalion, headquartered in Bogalusa and the 528th Engineer Battalion, headquartered in Monroe. Storm, Iraqi Freedom and Enduring Freedom. The 225th has also provided disaster relief after floods, tornados and hurricanes and has provided assistance for community projects across the state.